33-Series: Take Performance to a Whole New Level 22-Series: Unmatched Lugwork 14-Series: When anything but custom won't do. Waterford's 33-Series builds on True Temper's revolutionary S3 technology. Specially formulated, dimensioned and shaped OX Platinum alloy, S3 optimizes both performance and function. The result: Waterford's lightest weights and fastest acceleration. More. 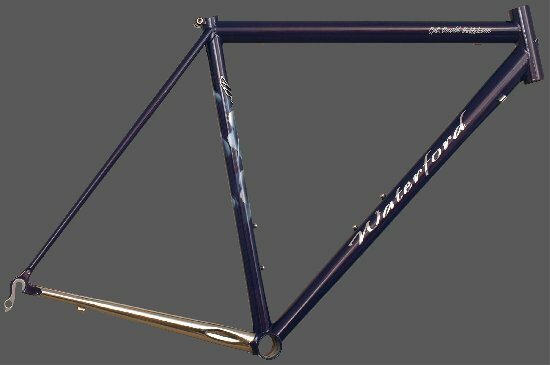 . .
2019 by Waterford Precision Cycles, Inc.